Gardenscapes is not your ordinary hidden object game. Hunt through rooms of the gorgeous mansion for hidden items, earn money, buy your favorite decorative ornaments and restore your stunning garden. 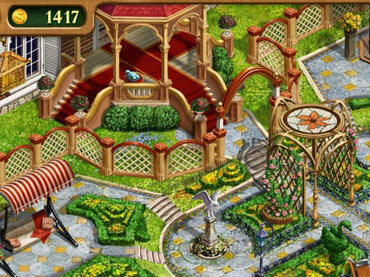 - Gardenscapes is a free full version game to download and play. If you have questions about Gardenscapes game, please contact us using this form.